Today you have the chance to enter a giveaway that I'm so happy about. I'd like to say that I planned this all out, but it just worked itself out! And the equally wonderful Tara of Sew Tara would like to make a surprise coffee cozy for you! Tara makes all kinds of handmade things, and I'm certain that you'll love this gift that she's made. Secret surprise gifts are more meaningful, aren't they? So, you'll have the chance at making some coffee cuffs AND having one made for you. Isn't that so sweet of them? To enter, all you have to do is leave a comment. But do please let me know how to contact you, in the event that you win. This giveaway will end Monday, October 31 at midnight central time. One random winner will be chosen and announced on Tuesday, November 1. Now, be sure to give these ladies a visit! These are great - thanks for the chance to win. What a great giveaway! Being able to make gifts and something for others is wonderful! These are one my of new favorite things! I used to keep the same one from starbucks because I thought throwing them away was wasteful. This is perfect, thanks for this great giveaway!! I would adore a coffee cozy! Then I don't have to waste all the cardboard ones! This is LOVELY!!! And yes, secret surprise gifts are so much fun! You can contact me here: lariatsandlavender[at]gmail[dot]com! I love Sew Tara's work... she is so creative! super cute and perfect for my walks with my little to get him to school.... my coffee may stay hot longer now! 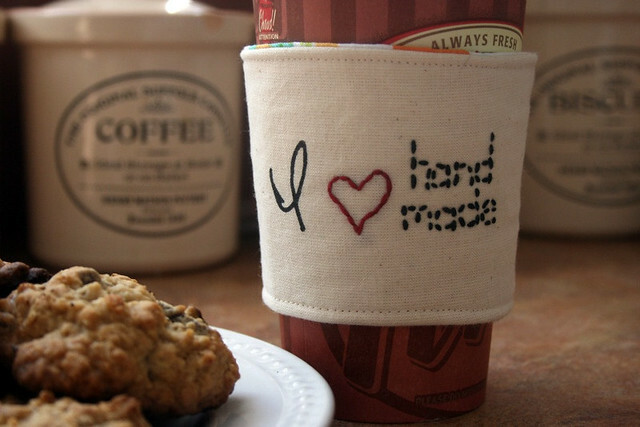 Such a cute coffee cozy! I would be very lucky to win!! Cozies are fantastic! I'd love a chance to have one! I haven't won one of these giveaways in over a year! Coffee is my best friend..except when it burns my hands. Awesome giveaway. pick me!! Awesome idea! I would love a cozy! So adorable!! I would make one for my sister and keep one for me!!! Ooooh! Lovely giveaway! Thanks for the chance to win! Sooooo Cute! I love cuteness and coffee a lot. I'm sitting here drinking coffee right now! I'd be thrilled to win a coffee cozy. These are just lovely! What great gifts they would make! Love it! My husband is a barista so I love them all the more : ). These are great! What a lovely giveaway! Thanks! A very sweet giveaway. 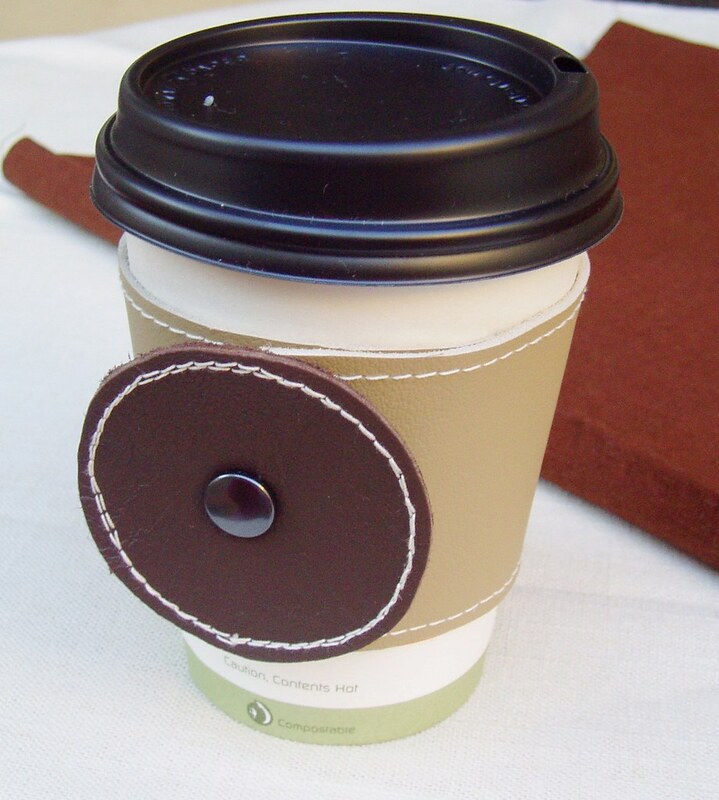 I love the coffee cozies and Taras designs make me smile! thanks again. Those are freaking adorable!! Thanks for the chance to win one! How cute! If I don't win I may have to make some as gifts for a few relatives I'm giving Starbucks cards to for Christmas!